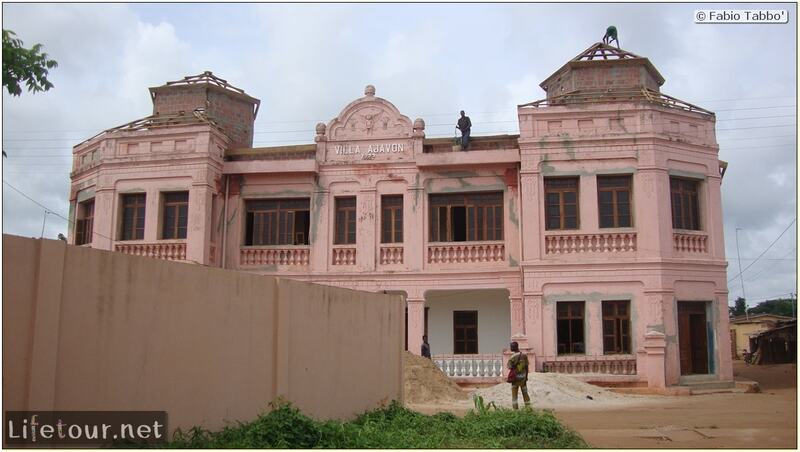 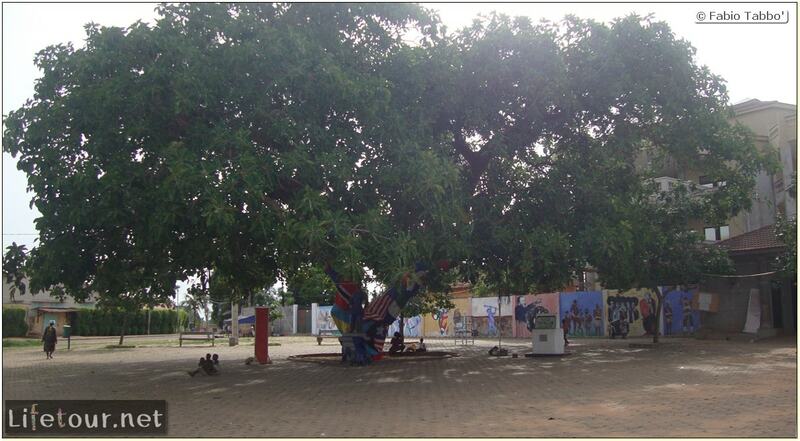 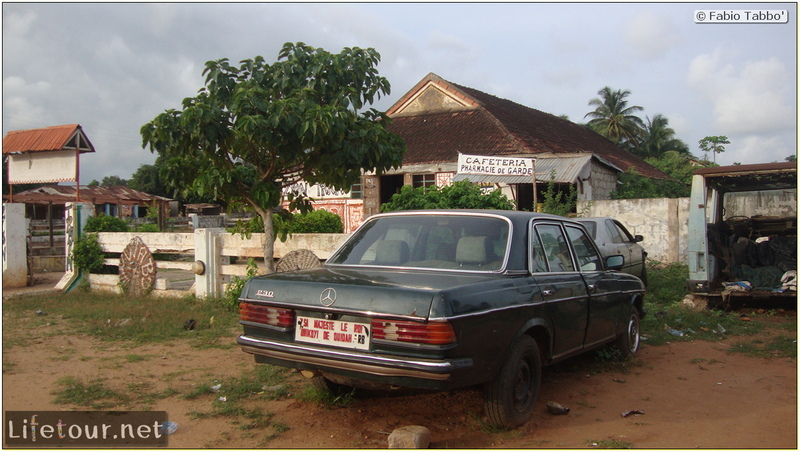 Ouidah is a city that lies on the Atlantic coast of Benin. 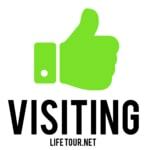 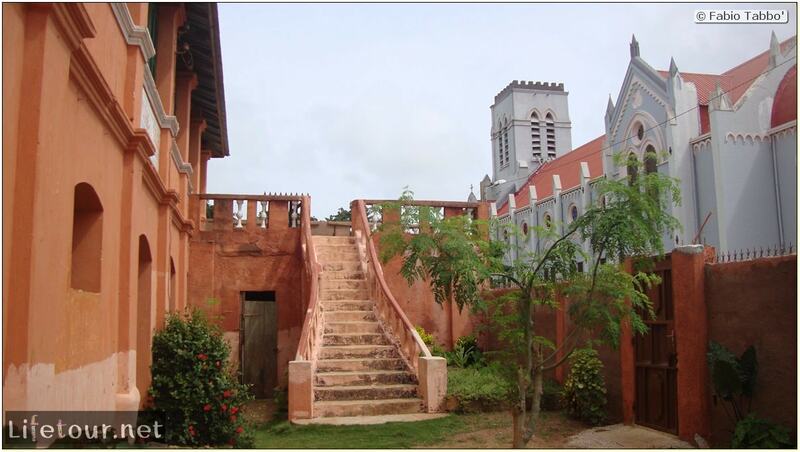 Tourist attractions in Ouidah include a restored mansion of Brazilian slavers, the Maison du Brésil art gallery, a voodoo python temple, an early twentieth-century basilica and the Sacred Forest of Kpasse, dotted with bronze statues. 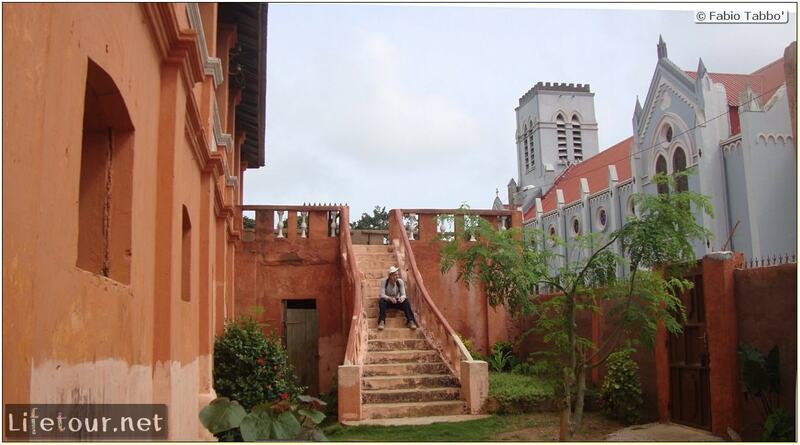 In addition to the Python Voodoo temple and the slave-trading memorial (Door of No Return), which have their separate webpages, I recommend you visit the museum, the church (which was closed when we visited, but Elvire used her Royal status to let us in…) and the colonial mansions used by the slave traders. 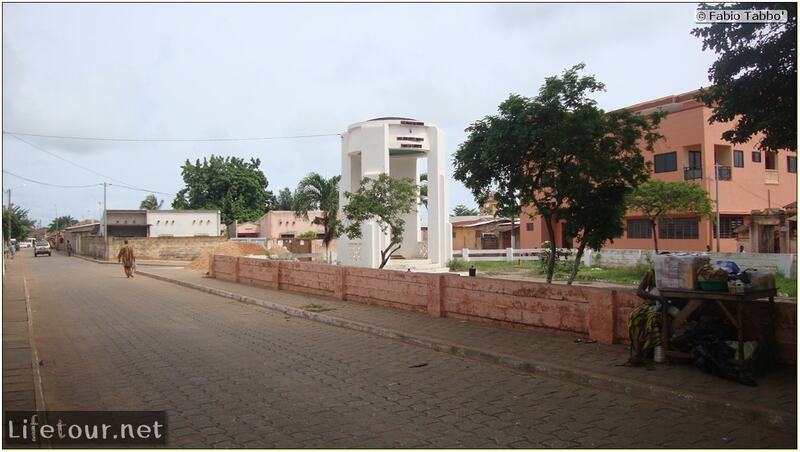 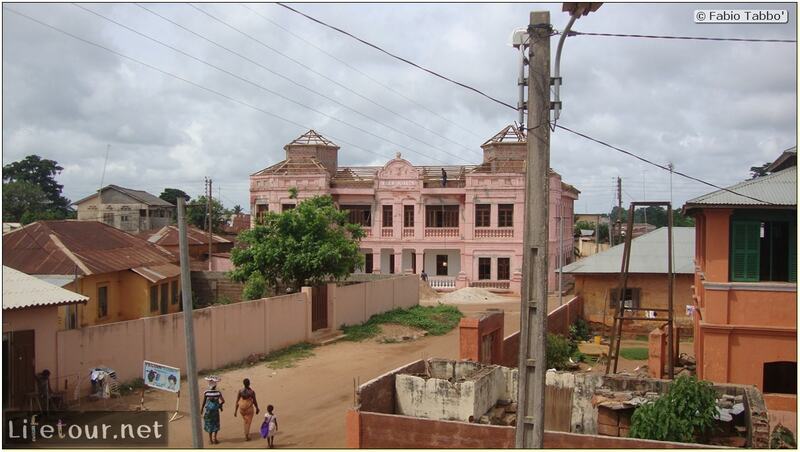 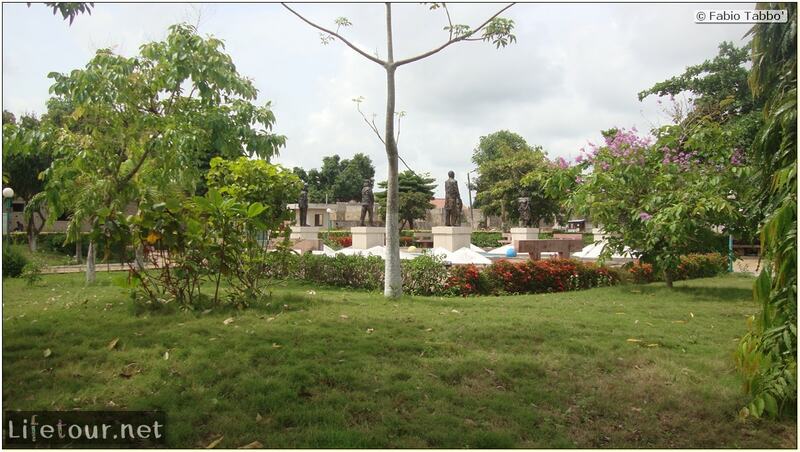 Ouidah is small and everything (except the Door of No Return) is walking distance from the Python temple.